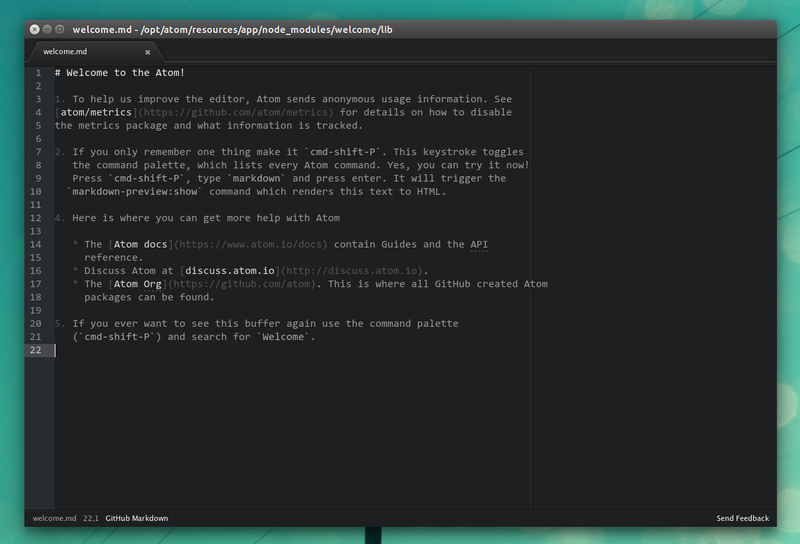 Atom - a "hackable text editor for the 21st Century"
As you've probably already noticed, Atom looks a lot like Sublime Text (2/3), a popular, cross-platform text editor that's sadly not open source. 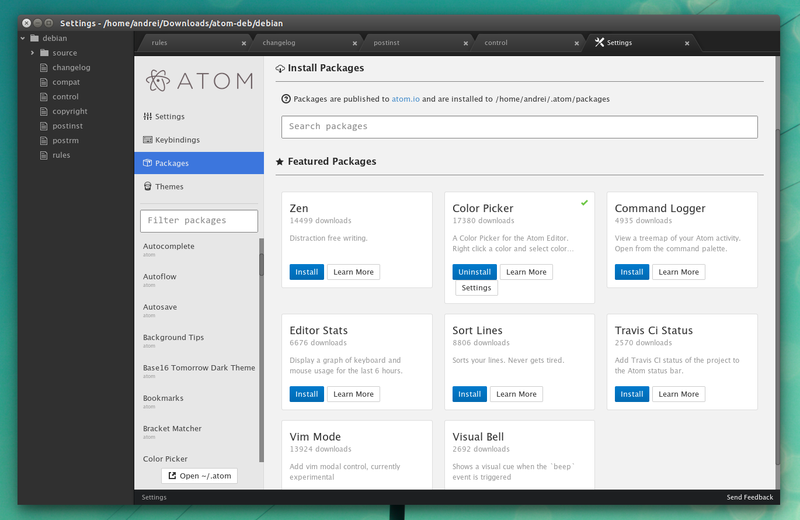 In fact, Atom includes many of the features available in Sublime Text - according to THIS, "a lot of the architecture and features have been duplicated from Sublime Text because they're tried and tested. 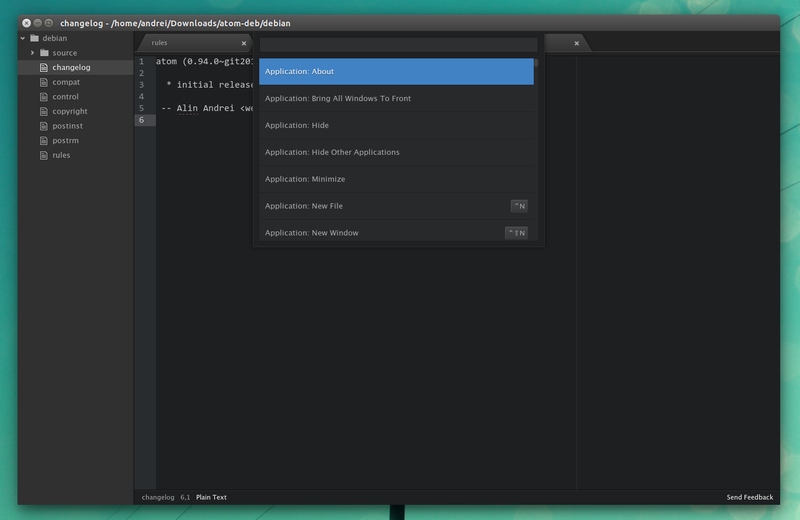 The plugin system works almost the same, but opens up a lot of new features and potential by exposing new APIs too". For more information, see the official Atom website and its documentation. While the Atom website only provides 64bit Linux binaries, the WebUpd8 Atom PPA provides both 32bit and 64bit deb files. You can use the PPA not only to install Atom on 32bit, but also to get automatic updates via the Update Manager. The WebUpd8 Atom PPA repository should also work in Debian, but I don't provide support for it. For how to add a PPA in Debian, see THIS article. Report any bugs related to packaging, in the comments! To report Atom (non-packaging) bugs, grab the source code, etc., see its GitHub page.